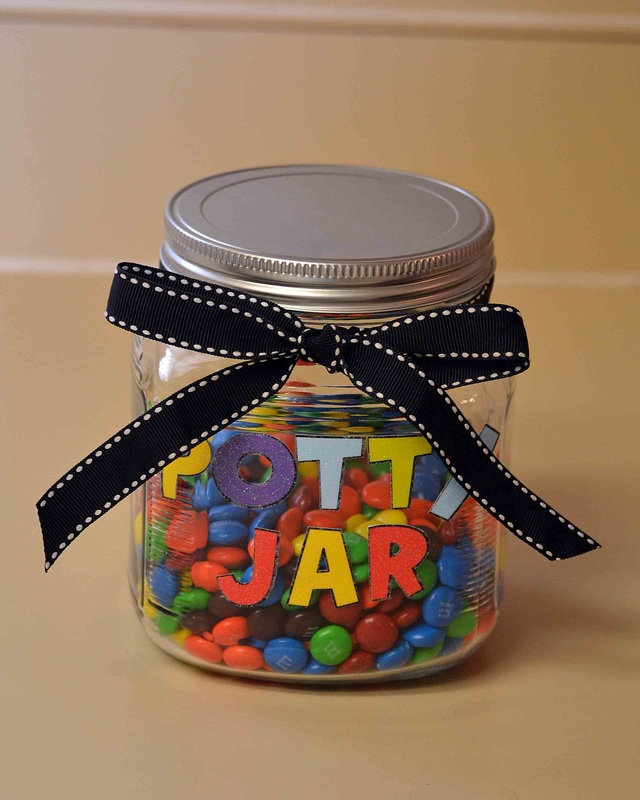 A couple weeks ago Briana made a potty jar for her daughter. She inspired me because her daughter is 2 months younger than my son, Weston, and already potty trained. So... I decided to give her potty jar a try with Weston and it WORKED. He is officially not in diapers anymore! I did my jar a little different because I do not have a vinyl cutting machine- I used stickers instead. It was a pretty fun project to do with my 2 year old. I had him pick out the letters and put the candy in. I think that it made him more excited to use the potty! I like the different colors of the stickers! Cute project! Thanks for sharing. Any other potty training tips are appreciated!! What a cute, yet easy project! Mine are all done with potty training...thank goodness, but I'm sure I could use the idea for a different incentive! Perhaps cleaning their rooms?!? what a great idea!! will be needing to use this very soon as my daughter is nearly at the potty training stage!! Very cute! 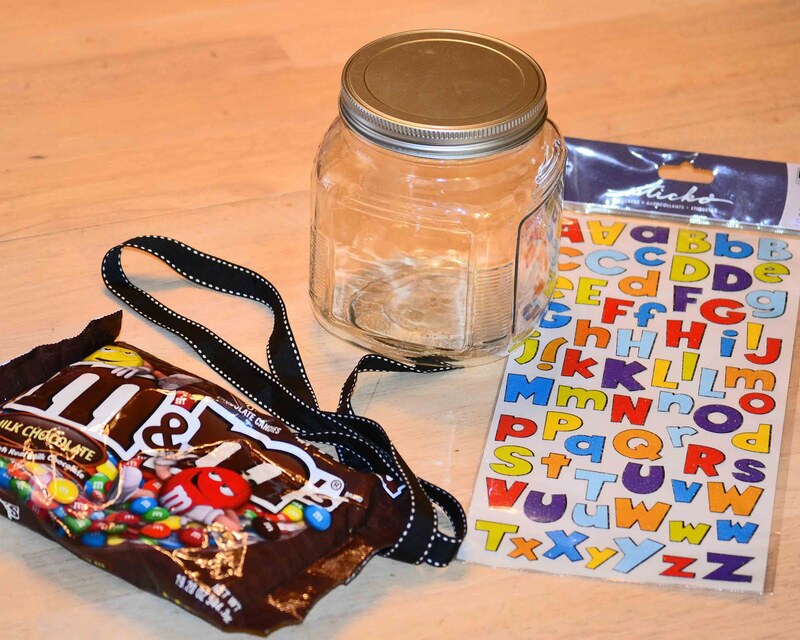 How does the jar work? Do you just give him an M and M when he goes potty? Do you keep the jar where he can see it? I am a new follower from Idea Sharing Wednesday. 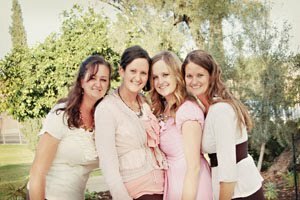 if you have a moment stop by www.messforless.net and say hi! 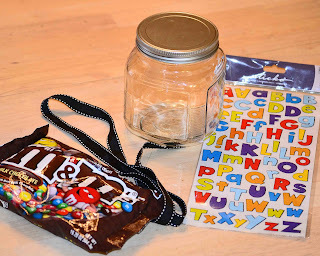 I made one for my daughter and we kept the jar on the sick so after she was finished "going" she could take a few candies out of her jar. It worked great for her and now she is all potty trained and still loves the jar! Thanks for stopping by! Another cute idea for those with kiddos! Thanks for linking to Potpourri Friday! What a neat idea....I am so glad my potty days are over, but someday I may need a grammy potty jar.